Suddenly I’m seeing myself everywhere! 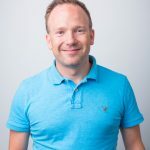 Are there plans to include Mu in Raspbian? Any thoughts on how it compares to Thonny? 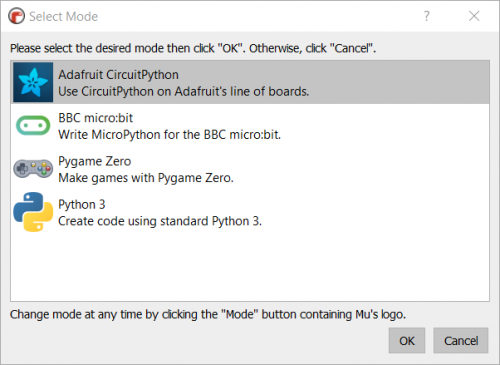 I’ve stuck with Geany as my editor but definitely open to other options, especially if micro:bit and circuit playground is supported out of the box. If your version of Raspbian is up to date, you can install Mu via the Recommended Software app in the preferences menu. If you want to install Mu using pip, check the instructions for Linux in our ‘Getting started with Mu’ guide. is this the same with as new install of Noobs ? Yes, if you’re using NOOBS, it will install the most up-to-date version of Raspbian for you. Very unusual, I have just VNC’d into a Pi and used Mu with no problems, perhaps check your keyboard layout settings on both the Pi and VNC client?! Seems very much like smalltalk style. But it’s not a bad thing, anything to help out the kids. Current Ide are a huge barrier. Good job. Like the logic icons. How does Mu compare with Thonny? I consider Mu to be simpler to use than Thonny, less menus, less options and totally geared to that new learner experience. In mode Pyton 3, no menu item Plotter. Unfortunately the plotter isnt available on the Raspberry Pi due to the lack of a specific QT library in the current version of Raspbian. Other than that 1 visible option, it is exactly the same. Python is THE universal scripting language not only for IT people but for everyone especially for Creators (artist, designe, 3D people, VFx), mathematicians, physicians, economists, etc. Is the language that I suggest to teach at school at low age. Knowing using python worth more than a college scholarship for the future of your children. Artist type uses Processing. Mathematicians and the like uses Python because it’s so regular, but other people prefer loose languages. Perl is popular because it is very linguistic. It’s very convenient to write scripts for. I still use BASIC and C programming language, and never felt handicapped. Jupyter notebook style programming is much better for a beginner. – The ability to run part of the program is very important. Skip parts of the code with bugs. That is. The ability to iterate the code separately without having to remember much. I think you only need to make a start script icon on the desktop to start jupyter notebook. 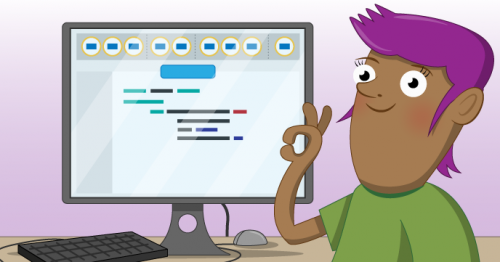 The main idea is that you don’t need to remember so much to begin programming with code completion and cells. Been trying to use PyCharm Community Edition on Raspbian but have had real issues when trying to read the file system to open a file, save a file and even setup a new interpreter. Will try this out as soon as I can. Sometimes simpler is really better! The version in Raspbian is 1.0.0, but the version for all other OSs is 1.0.1. 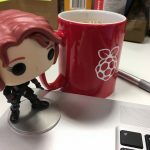 Could you update to Mu 1.0.1 on Raspbian? The 1.0.1 update is being tested internally at the moment; it should be available on apt in the next week or so.